With construction already underway at the location once home to the historic Movieland Wax Museum on popular Beach Blvd. 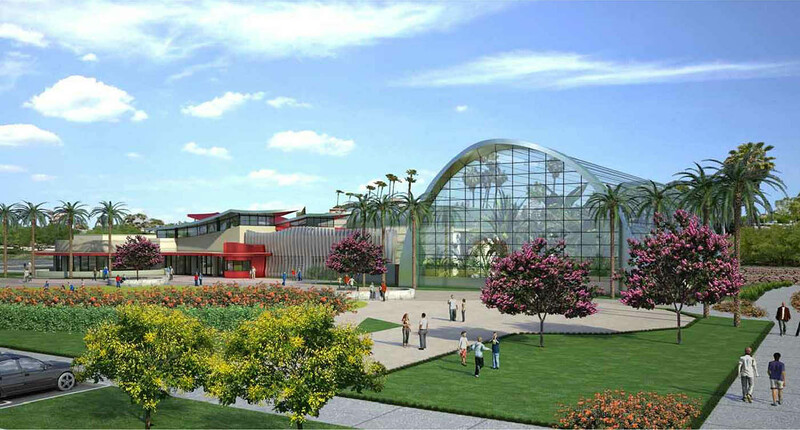 in Buena Park, the state-of-the-art Butterfly Palladium project is a 56,000 square foot unique entertainment venue that includes 22,200 square feet of exotic butterflies, magnificent hummingbirds, a realistic rainforest atrium, and the largest jellyfish aquarium in the world. The center also incorporates additional wildlife, a 3D movie theater, education room, cafe, retail shop, and more activities for visitors to experience. *Photo Caption: Rendering of Butterfly Pavillion. "The city's decision to file suit against us is extremely disappointing," said Rubin Stahl, developer of the Butterfly Palladium.